To answer your question: What am I excited to read this month? My book club decided this a.m. to read Cleve's _Gold_ this month. And since I found his novel _Little Bee_ so powerful, I am looking forward to this read. The reviews have been good, since I am usually reading YA books, it's great to have a recommended "grown-up" book to read!. What am I excited to read this month? Currently, I am finishing up the 2nd book in the Lumatere Chronicles, Froi of the Exiles which is very exciting. Also, I recently went to a book signing in Decatur, GA and purchased several independent auther novels that I cannot wait to read! As for new books that have just released, I am looking forward to reading Rift by Andrea Cremer and Something Strange and Deadly. There are so many to be excited about. Reading is a passion and new books are my joy in life. Great pick! I grabbed a copy of this at BEA too. I also loved it! I can't wait to read more in this new series. Can't wait to read this! It's been pre ordered for months! So many good books seem to be up and coming. I am currently working my way through A Dance With Dragons by George RR Martin and am looking forward to finishing up the complete series whenever the next two books are released. Great imaginative immersive read. I highly recommend them! I am SO excited for this book! 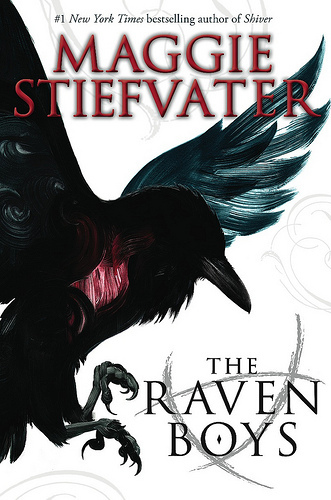 Maggie Stiefvater has such a captivating writing style. I'm looking forward to reading "Rift", as well! Andrea Cremer is another author that I thoroughly enjoy. Her Nightshade trilogy was, simply put, Awesome! I also recently discovered the "Lux" series, by Jennifer Arementrout, and have been enjoying those, as well.